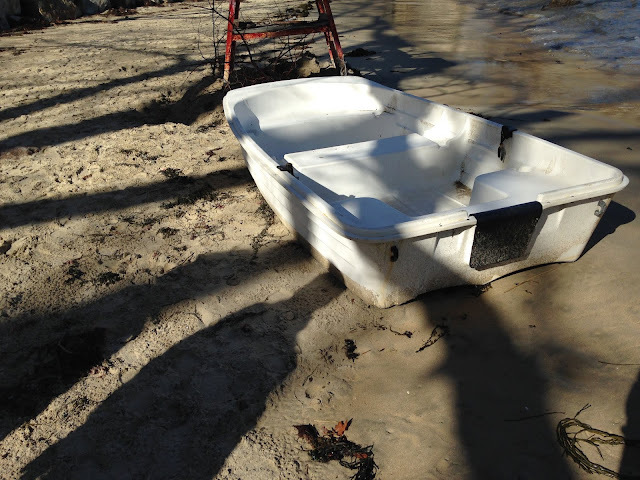 Just one of many washed up boats after storms on Cape Ann MA. Nice shadows. I wouldn't want to be in that boat in a storm! It is scary to be at sea in a storm. We have a story about that. Heaven bless the sailors! You wonder how far it has come. Must have been a bad storm! I hope no people were in that when it washed up (or while it was being washed ashore)..... you find the best quotes! An opportune shadow shot. Lovely! … makes a nice shot.